J J Lynes has been a woodcarver since childhood who is influenced by natural resources his surroundings and art history. 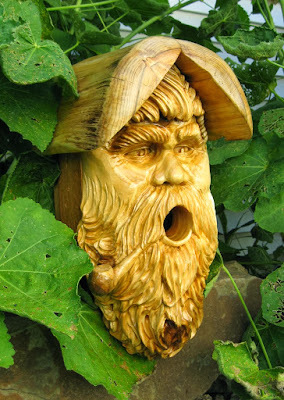 His beautifully detailed carvings are accomplished using a variety of chisels, gouges, and knives that are razor sharp. This is followed by sanding and finishing to perfection. His work is very intricate and a pleasure to examine. Barbara’s collage art has been referred to as “Painting with Paper”. 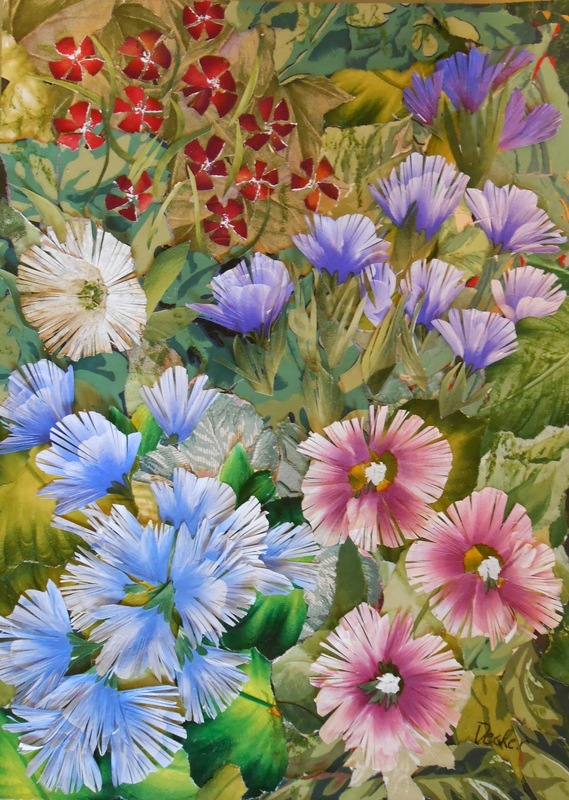 These are created using hundreds of pieces of torn or cut paper of varying textures and colors to create detailed landscapes and florals. She also creates free form pottery pieces which are fun and functional. JJ and Barbara’s work will be on featured display at VIVA for the month of October along with the works of the other 18 member artists.